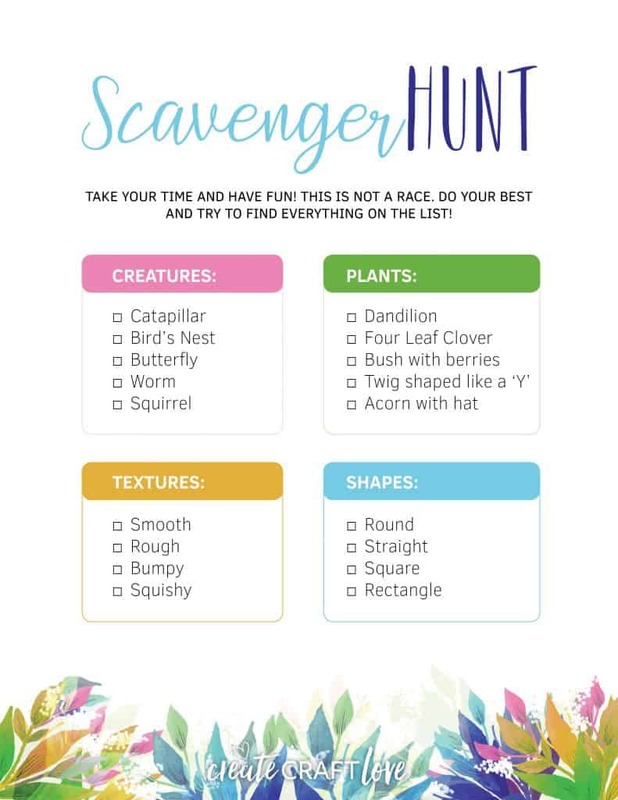 Fight summer boredom with our Summer Scavenger Hunt Printable! I can already hear the moaning. “Mom, I’m bored.” Seriously? When I was your age, I went out and FOUND something to do. (OMG – did I really just say that?! Now I feel old.) Summer tends to bring out the boredom. This year, have something in your back pocket for days like this! 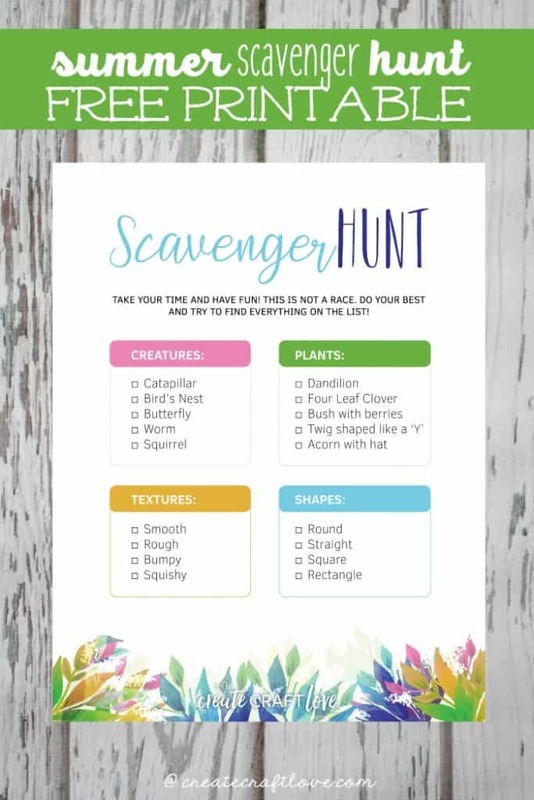 Our Scavenger Hunt Printable is the perfect solution! It’s divided into four different categories. The fun part is it can be used again and again because some of the descriptions are very broad. Since most kids have some sort of electronic device, you can even challenge them further by photographing their finds along the way! My niece and son did this recently and had a blast! But this is just a starting point. Think outside the box and add to the list! Better yet – ask THEM to add to the list. See how versatile that is? Simply download the file below to your own personal computer. I would recommend printing on white card stock and laminating for future use! That way it is reusable! All printables are for PERSONAL use only! Please do not re-sell, redistribute or claim as your own. If this printable is posted to the internet, please give credit and link back to Create.Craft.Love.